EASY TIMBER FLOORING IS ABSOLUTE THE BEST LAMINATE FLOORING SUPPLIER IN SYDNEY. WE PROUDLY OFFER TOP SELECTED EUROPEAN FLOORING BRANDS LIKE BERRY ALLOC AND SWISS KRONO AT THE LOWEST PRICES. WE ENSURE YOU GET THE LATEST DESIGNS, STRONGEST AND MOST DURABLE LAMINATE FLOOR EXIST IN THE WORLD. OUR WIDE FLOORING RANGE IS THEREFORE STILL PRODUCE IN EUROPE TO KEEP HIGHEST QUALITY AND EVEN EXCEED THE EUROPEAN STANDARDS. 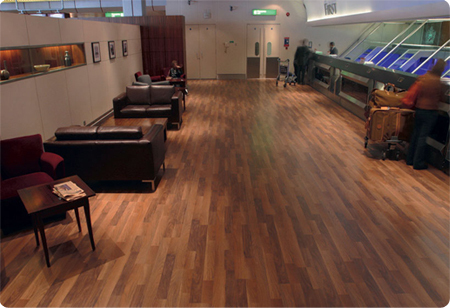 WE EVEN STOCK HIGH-PRESSURE-LAMINATE FLOORING, WHICH YOU CAN FIND IN THE PREMIUM CHECK-IN AREA WITH BRITISH AIRWAYS IN HEATHROW AIRPORT AND EVEN IN CASINO IN MELBOURNE. Laminate flooring in Australia has a bad reputation because massive import of low quality laminate floors flooded in the market. Which looks good, thick, but most low cost laminate is not economical for you in the longer run. Compare to European laminate floors which can last for even life time. Berry Alloc and Swiss Krono are both member of the EPLF (European Producers Laminate Flooring). Berry Alloc is no doubt the best laminate flooring brand in the market. With their top and innovative technologies, Berry Alloc is not only producing most beautiful flooring. But they are capable of offering you the strongest laminate floor in the world. Swiss Krono group supplies to more than 80 countries around the world and is a certain one of the largest laminate flooring producers in the market. Welcome to experience Swiss Krono quality flooring. Alpha laminate range is our 12mm budget collection, which still is a great flooring option and can beat many other 12mm floors in the market. Since our HDF-core is harder.